The association would like to acknowledge the support of our Corporate Members. All Valve Industries is a supplier of valves to the plumbing, irrigation, HVAC and general industry. We strive to provide quality products, at competitive pricing, with helpful and efficient service. We draw on our extensive knowledge of the valve industry to provide the right product to suit a customer's individual needs. All Valve Industries has been distributing Conbraco’s industrial range of products for over 15 years. In 2012, All Valve was also appointed exclusive distributor of the Conbraco Apollo backflow products range. Conbraco Apollo valves are 100% made in the USA and boasts a 5 year manufacturer’s warranty. Their ease of service, reliable performance and excellent flow rates have made them the top choice for any backflow requirements. Conbraco Industries was created when two Detroit-based manufacturers of brass valves and fittings merged in 1928 forming Consolidated Brass Company. Over 80 years later, Conbraco is an American success story that's still being written. The company now known as Apollo® Flow Controls earned a reputation for developing new products to meet emerging market demands. Conbraco has been a leader in Backflow Preventers for over 25 years. Zurn Australia is a leading supplier of specialised backflow products. The Zurn Wilkins Backflow range was introduced into the Australian market in the late 1980’s. It is now well established as a product delivering cost efficient design with simple in line repair, long term corrosion resistance, short lay lengths and excellent flow characteristics. Our commitment to service with stock and spare parts available through our national distribution network is backed up by our technical support network giving us a competitive edge. We also offer the flexibility to design and supply product for speciality applications in the healthcare and fire markets. Emerson ValCheq... delivering all your backflow answers. With Emerson ValCheqbeing the largest Australian manufacturer, we can provide you with a practical & affordable solution for every application. Emerson ValCheq's team has over 20 years of backflow experience allowing us to offer the most comprehensive customer requirements package. Whether it be tried and true existing backflow valves and system designs or new and innovative solutions Emerson ValCheq will have the answers. Emerson ValCheq to lead the way in flow control systems by being the first to receive WaterMark approval for testable single check and testable single check detector assemblies. 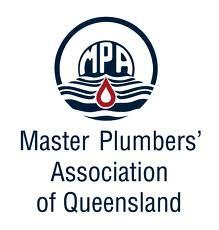 The Master Plumbers' Association of Queensland (MPAQ) is the peak industry body representing plumbing contractors throughout Queensland, from sole operators to medium sized plumbing businesses and large contracting firms. MPAQ is an Association run by professionals for professionals, ensuring that plumbing businesses remain viable for future generations. As well as being the collective voice for the plumbing industry, the Association also offers its members a full range of professional services, from employment and workplace relations to technical assistance and training. These services allow plumbing contractors to establish and maintain successful businesses and plan for the future. Effective plumbing services are critical for maintaining and enhancing community health as well as protecting the environment. MPAQ recognises its members are at the forefront of this essential service industry and provides professional expertise and support to ensure their ongoing business viability. Master Plumbers protect the health of the community and the environment through professional plumbing services. The Service Trades College Australia is an industry owned not-for-profit registered training organisation that provides training, professional development and post trade courses for the commercial plumbing sector, mechanical services (air-conditioning) sector and fire protection industry. The College maintains strong links with the building and construction, services and resources industries, unions and employer associations to ensure its training is cutting edge and industry focused. Formerly known as Joint Industry Services Training (JIST), the organisation is a joint initiative of the Plumbers Union Queensland, the Hydraulic Contractors Group and the National Fire Industry Association Queensland. 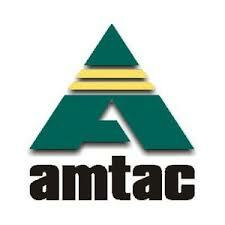 It commenced operation in 2004 and officially changed its name to The Service Trades College Australia on 1 July 2013. Hydroflow Australia are the National Distributors of Watts and Ames valve products including their full range of Backflow prevention devices. We pride ourselves in aiming to be the market leader in Australia for backflow products offering stock on hand , full compliments of spare parts for all products spanning Watts/Ames 30+ years presence in the Australian market and most importantly technical service in the support of the range. Hydroflow takes pride in its motto of “Leading with Knowledge” and our staff have a long history of involvement in the backflow industry. We aim to add value through ongoing training and support of the plumbing industry including a strong presence with the relevant associations , water purveyors and trainers involved in this product category. Hydroflow are also distributors of other leading plumbing industry brands such as St Gobain , Bugatti , SAB , Victaulic and Apex. Watts Water Technologies is a respected global business with its headquarters in North Andover, Mass., USA and manufacturing facilities in Europe, Asia pacific and North America, the Middle East and Africa. In 2007, Asia-Pacific headquarters was set up in Shanghai, China with operational branches in Beijing, Guangzhou, Chengdu, Singapore, Australia and South Korea. For more than 140 years, Watts Water Technologies has continued to promote the comfort and safety of people as well as the quality and the conservation of water by providing and optimizing innovative water products. Integrated solutions provided by Watts have helped customers expedite sustainable development, while reducing costs. Today Watts Water, through its various brands and subsidiaries, is a global provider of plumbing, heating, and water quality solutions for residential, industrial, municipal, and commercial settings. Watts’s family of brands & companies offers one of the most varied plumbing, heating, and water quality product lines in the world— ranging from simple under-sink water supply stops to drains, backflow prevention assemblies, rainwater harvesting systems, and hydronic & electric heating solutions. Reliance Worldwide Corporation (Aust.) Pty Ltd is a global provider of water control systems and plumbing solutions for domestic, commercial and industrial applications. Reliance Australia is headquartered in Brisbane, and has nationwide presence with operations in Melbourne, Sydney and Perth. From the popular SharkBite® Push-fit Connection System to the advanced line of RMC water control valves, Reliance develops, assembles and delivers trusted plumbing solutions to businesses and households across Australia and New Zealand through these product lines and more. Established in 1949, Reliance has grown to become a world leader in water control, measurement, infrastructure, products and services, supplying hot water systems to manufacturers, plumbing distributors, government bodies, and other major industries. Our Australian-based NATA accredited laboratory certifies final products prior to production and conducts ongoing performance and destructive testing. Accredited by Standards Australia to AS NZS ISO 9001 – 2008, all manufactured products are subject to a comprehensive quality assurance system, encompassing design, manufacturing and testing to ensure that every Reliance product is a trusted plumbing solution for years to come.